Jussie Smollett, from the Fox series, "Empire." 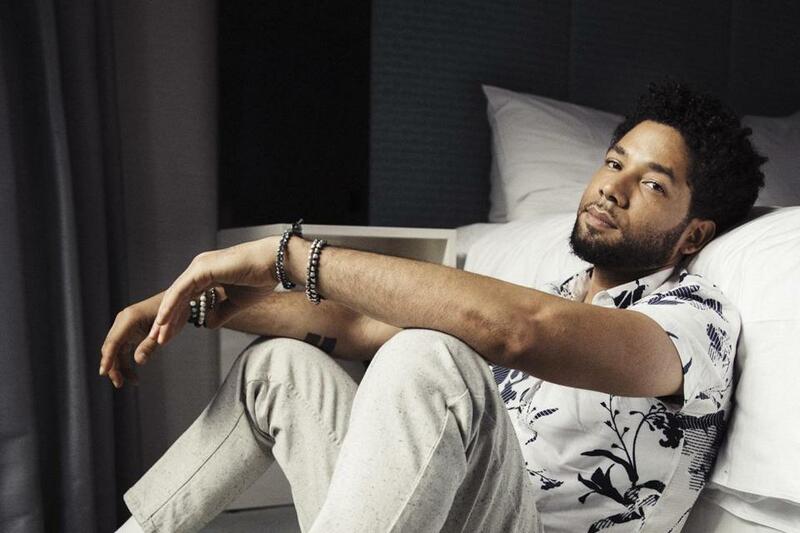 Jussie Smollett, one of the stars of the television show “Empire,” was attacked by two assailants in Chicago early Tuesday morning, an incident being investigated as “a possible hate crime,” according to police. Smollett, who is black and publicly came out as gay in 2015, was walking on a downtown street when two people approached him and yelled racial and homophobic slurs, according to a statement released by the Chicago Police Department. The two attackers then began hitting Smollett in the face and poured an “unknown chemical substance” on him. Representatives for Smollett did not respond to a request for comment, nor did Fox, the network on which “Empire” airs. ...whoever did this, do not forget that you are nothing but hate filled cowards while Jussie?s talent and activism will continue to shine a bright light on to the world for decades to come. “Jussie is a true champion for LGBTQ people and is beloved by the community and allies around the world,” the group said. Several Democratic politicians and current or potential 2020 presidential candidates also decried the attack, from both Twitter and the Senate floor. Smollett, in addition to his acting, is well-known as an activist, particularly in HIV/AIDS prevention. On “Empire,” Smollett plays Jamal Lyon, the gay son of music moguls Lucious Lyon, played by Terrence Howard, and Cookie Lyon, portrayed by Taraji P. Henson.